Popular amongst 1950s Hollywood stars and skinheads alike, the Harrington jacket is a British-designed garment that has well and truly surpassed its colloquial origins. 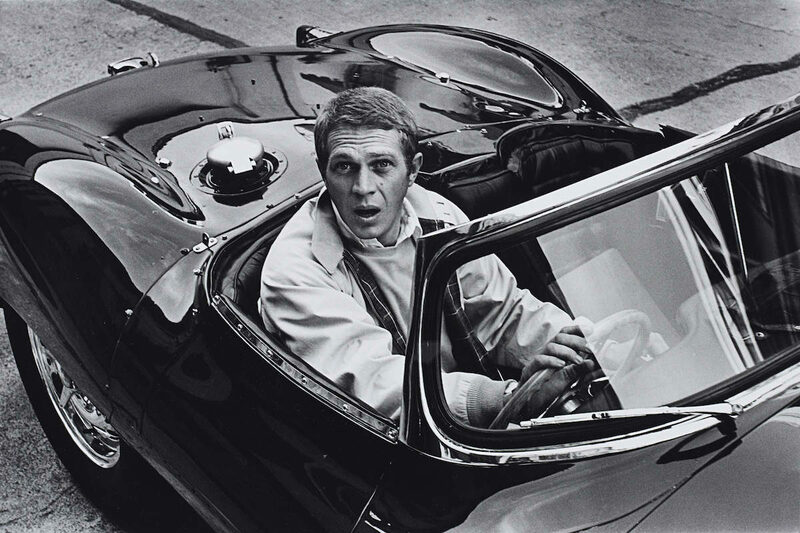 Steve McQueen wearing a Baracuta G9 Harrington whilst driving his Jaguar XKSS, 1963. Photo by John Dominis. If you were to analyse the 20th century and pick out one British-designed garment that has transcended numerous decades, earned its right as a favourite amongst sportsmen and Hollywood greats alike, and infiltrated its way into the wardrobe of societal-fringe subcultures, the Harrington jacket stands tall. It would be impossible and ill-mannered though to talk about the Harrington jacket and not begin by paying homage to the originators of the style, Baracuta. 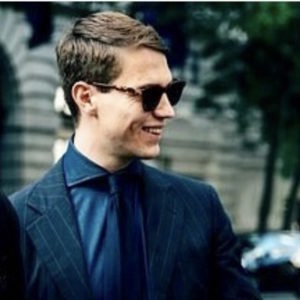 Founded in 1937 by James and Isaac Miller in Manchester, they “designed the G9 when they set out to create a functional rainproof jacket for the English modern working man,” Alessandro Pungetti, current designer at Baracuta, tells me. The company is inextricably linked to the Harrington jacket. In the same year it was founded, the brand released the iconic G9, which then only became known as the ‘Harrington’ after the rise of US TV soap opera Peyton Place, in which a character - Rodney Harrington played by Ryan O’Neal - would often wear the style. Throughout the 19th and early 20th century, Manchester was a hotbed for the manufacturing of garments and working with cotton and it reached its peak in 1912 when it was producing eight billion yards of cloth each year. It was known as Cottonopolis, and as such, it comes as no surprise that the original Harrington jacket was made from cotton, while modern adaptations have seen suede, leather and wool all used. “In 1950, Isaac Miller began exporting it to the United States, and the G9 was adopted by the celebrity golfing fraternity,” Pungetti says. It was a firm favourite of Arnold Palmer and Gary Player, as it didn't restrict their swing, and when the weather worsened it kept them dry and maintained a standard of appropriate dress on course with their polo shirts, chinos and golfing shoes. From the putting green to the big screen, it wasn't long until the Harrington jacket found its rightful place in cinema. Some of the most rakish and timeless depictions of men’s style were born in Hollywood in the 1950s. Yet one of the reasons it was favoured in the U.S. was that the waist-length, elastic waist and cuffs mirrored bomber and flight jackets of World War Two and the Korean War, and therefore evoked a certain masculinity. But back to cinema and the period itself, the 1950s was a decade of unrelenting and effortless cool idealised because of its music, film, fashion and culture. James Dean, for that matter, completely embodied those crucial factors. Dean sadly died in a high-speed car crash a week before the release of the seminal Rebel Without a Cause (1955), in which he sported a red Harrington Jacket as the film’s protagonist, Jim Stark. Elsewhere, ‘The King’, Elvis Presley, sported a beige G9 in King Creole (1958). Interestingly, the jacket Presley wore belonged to one of the cameramen and he borrowed it to keep warm between takes. It looked great on him, and the director Michael Curtiz asked him to continue wearing it and it then stuck. It was clear that the jacket conjured a sense of ‘rebel cool’, which Presley embodied. From rebel cool to ‘The King of Cool’, Steve McQueen is arguably the most instantly recognisable icon to don the Harrington jacket. McQueen wore a white Harrington on the cover of Life magazine in 1963, and also in the rakish Thomas Crown Affair five years later. All of these men wore it in their own specific way with little apparent effort, yet the results were fairly spectacular. Back over the pond, the Harrington Jacket soon found its place in the streets. “It became popular among young men who wanted to break away from mainstream fashion,” Pungetti says. It was indoctrinated into the hearts and minds of Britain’s subcultures with a similar sort of message as their American peers: counterculture. In the 1960s, from mods rolling around town on their scooters, to punks, rudeboys and skinheads, the Harrington was omnipresent in all of their uniforms, in addition to leather jackets, Fred Perry and Ben Sherman shirts, Dr. Martens boots and ripped denim jeans. It was a signifier of a nonconformist ideology and still is to this day, although subcultures are not as prevalent as they once were (blame the Internet and social media), the remaining members of these clans all still wear their Harringtons with pride. Irrespective of whether you conform to a past-subcultural ideology, or if you are a 1950s Hollywood purist, the Harrington Jacket is one of the most versatile garments in menswear vocabulary. Suitable for many occasions and available in a wide range of colours, it comes with a guarantee that it’ll work with the majority of your wardrobe. Styling it requires little thought, and it’ll be suitable for three seasons out of the year. It’s remained unchanged for 80 years and for a garment to do so it has to be designed with function at the forefront of one’s mind. Whether the Miller brothers knew its potential is another story, but what they designed is an iconic, spacious and comfortable garment, and from a style perspective an absolute classic. A must-have wardrobe staple that’s still made in England. 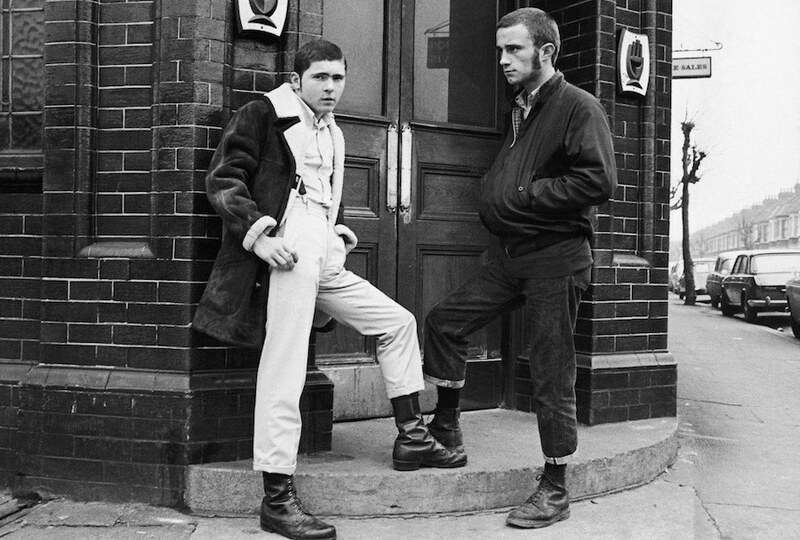 Two British skinheads in London in 1970. The man on the right sports Dr. Martens, turn-up selvedge denim jeans and a dark Harrington jacket.